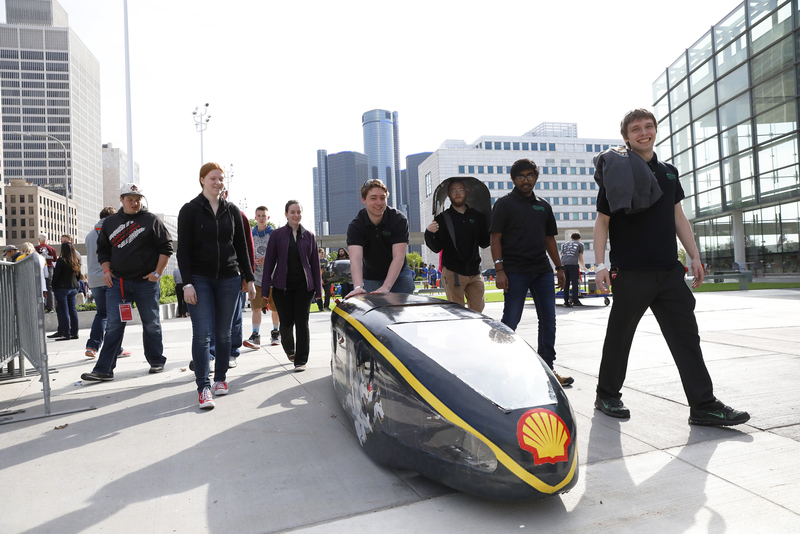 Lear is now accepting applications for its 2019 Student Innovation Challenge in Detroit. 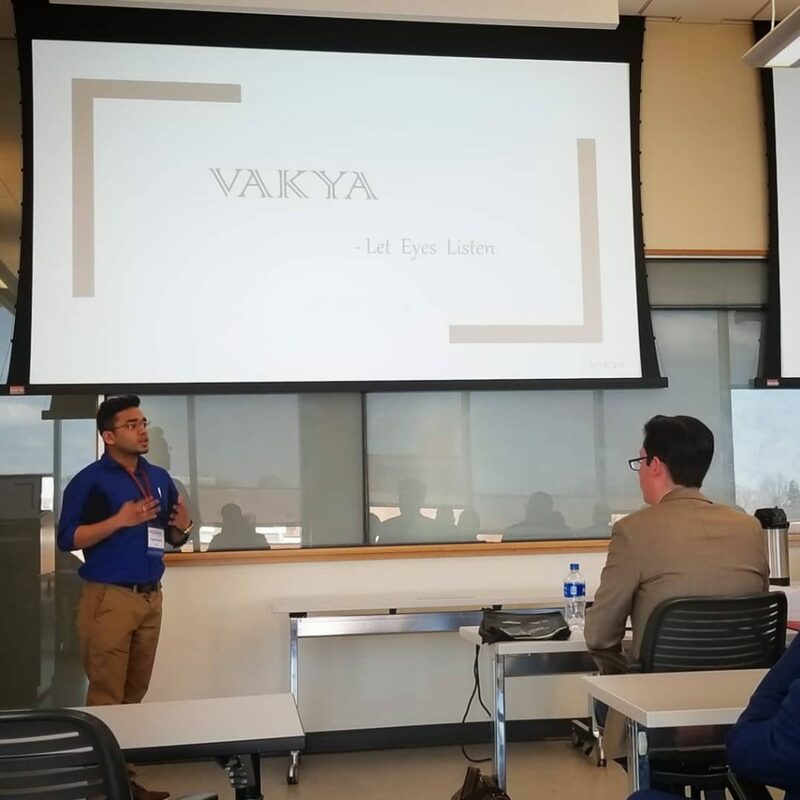 The competition brings together students from local universities with varied disciplines to compete in teams for cash prizes. 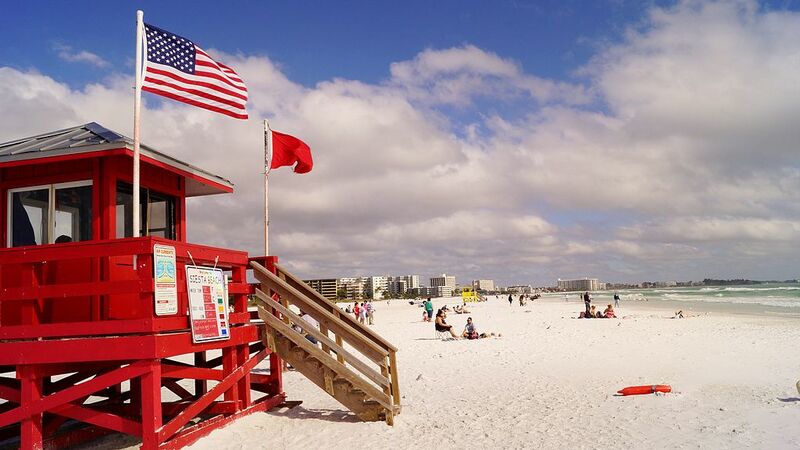 The Challenge will kick off with a two-day workshop on February 9 and 10, followed by a two-week incubation period, and ending with a group solution pitch on February 23 to Lear executives and subject matter experts. Winning participants may be offered the opportunity to be a Lear Innovation intern summer 2019. 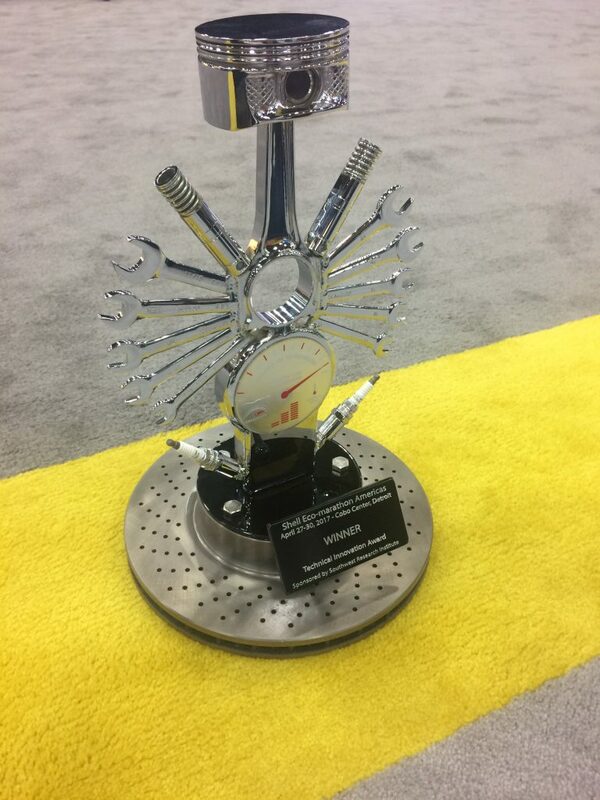 The competition is designed to teach an innovative mindset and prepare students to create ideas for the future of mobility and vehicle connectivity. Participants will work with innovation coaches and Lear technology development experts to learn how to develop solutions that advance technology and manufacturing. The 2018 Lear Student Innovation Challenge involved increasing vehicle occupant safety. Out of the five Michigan Tech students that competed earlier this year, four took home awards. Tech student, Shawn Badanjek was on the grand prize team and received the coveted summer internship position. 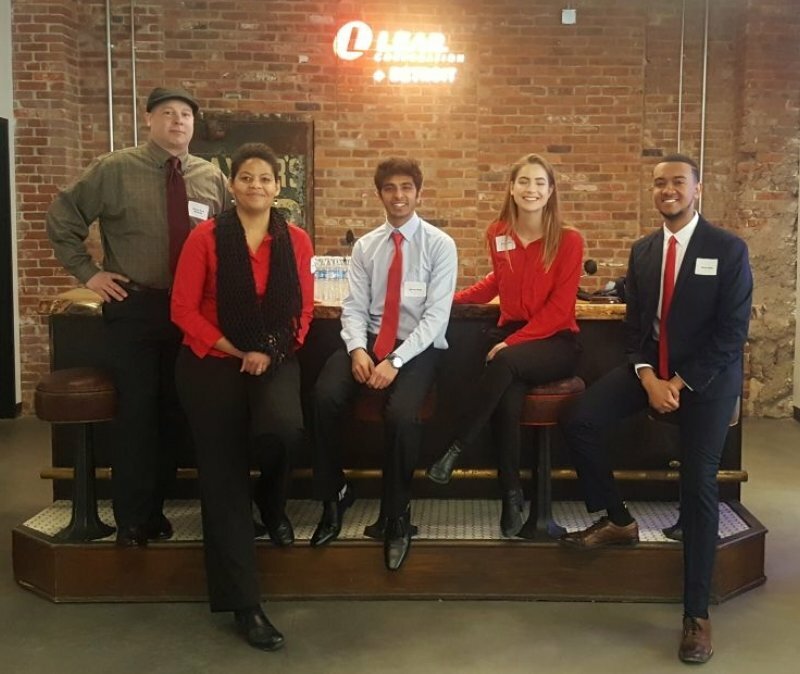 2018 Lear Open Innovation Challenge grand prize winning team: (from left) Michigan Tech student Shawn Badanjek, Janelle Newman, Shivam Bajaj, Nicole Goldi and Adrian Maloy. 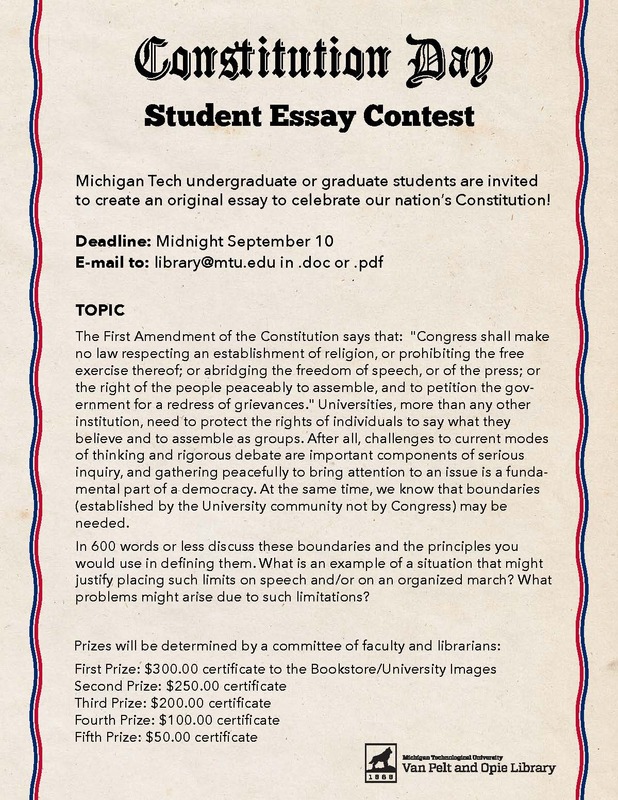 Applications must be submitted by November 30 at 7 pm. Keep in mind that this is a very competitive selection process, so applicants may want to include a video or other supplemental materials to bolster their application. 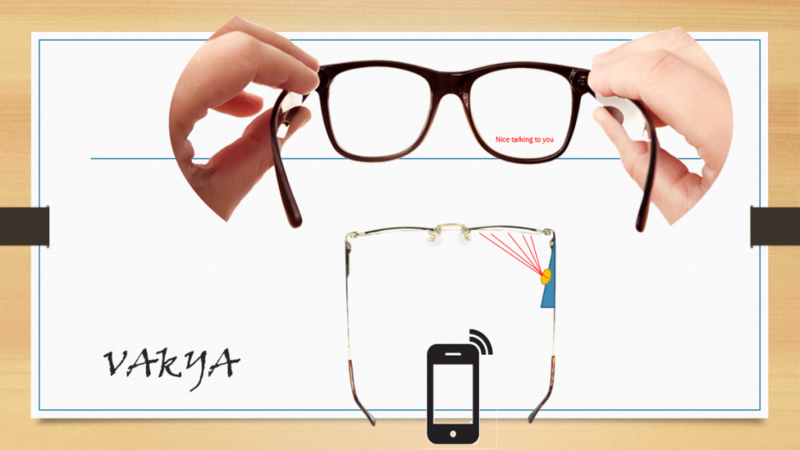 Any questions can be directed to the Lear Innovation team at innovate.elevate@lear.com. Michigan Tech’s Blue Marble Security (BMS) Enterprise team CAT/SWE took first place in the WE16 Team Tech Competition (sponsored by Boeing) in Philadelphia over the weekend. Members of the Blue Marble Security team include: Ester Buhl, Sandra Cvetanovic, Cody Kovar, Johnathan Boik, Andrew Tallman, Alex Gall, Alexis Dani and Eman Jazayeri. 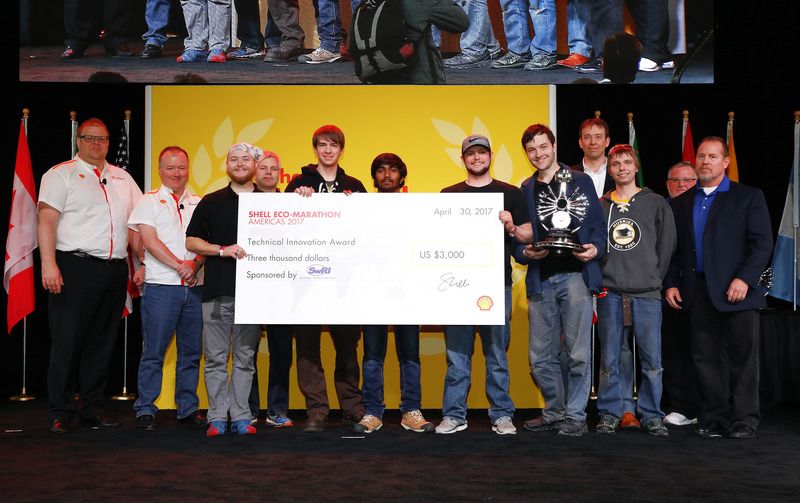 The team’s project “Wheel Tractor Scraper Bowl Optimization System,” a joint venture between BMS and Consumer Product Manufacturing Enterprise, was sponsored by Caterpillar, Inc. The Consumer Product Manufacturing team members include: Anna Marchesano, Brianne Anderson, Johnathan Quinn, Jennifer Dzurka and Harley Colburn. Blue Marble Security is a virtual company of undergraduate students focused on securing the future through thoughtful use of technology. 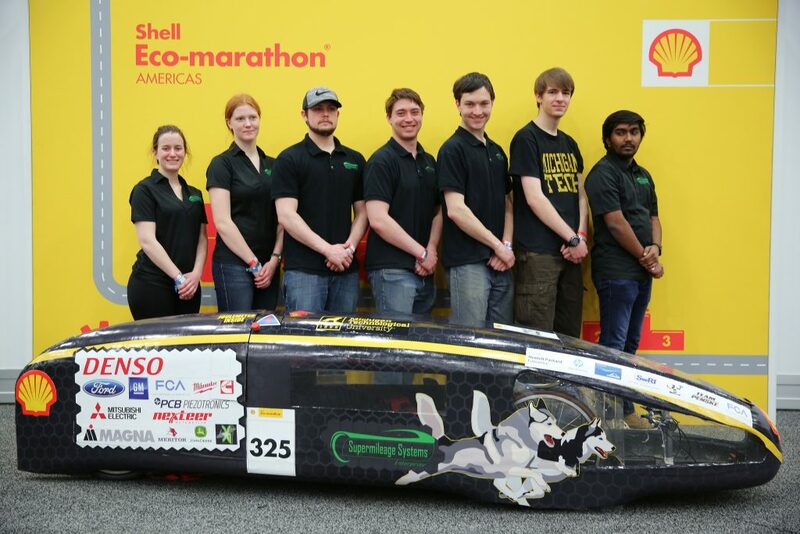 The student-led company combines a rich educational experience in engineering design, team building, project management and original product development. Blue Marble Security’s win wasn’t the only good news for Tech at the conference. 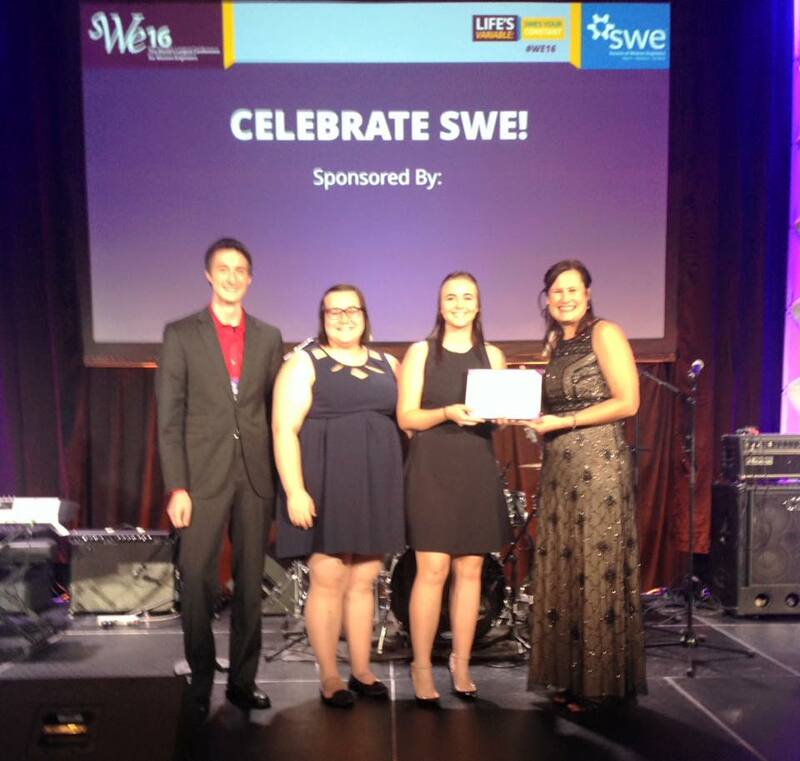 Elizabeth (Cloos) Dreyer, BSEE 2011, was selected SWE Outstanding Collegiate Member for outstanding contribution to SWE, the engineering community and their campus. Dreyer is an electrical engineering PhD candidate at the University of Michigan. WE16 is the world’s largest conference and career fair for women in engineering and technology. Hosted by the Society of Women Engineers (SWE) and a number of corporate sponsors, WE16 provides inspiring and invaluable ways to connect, discover career opportunities and pursue professional development. 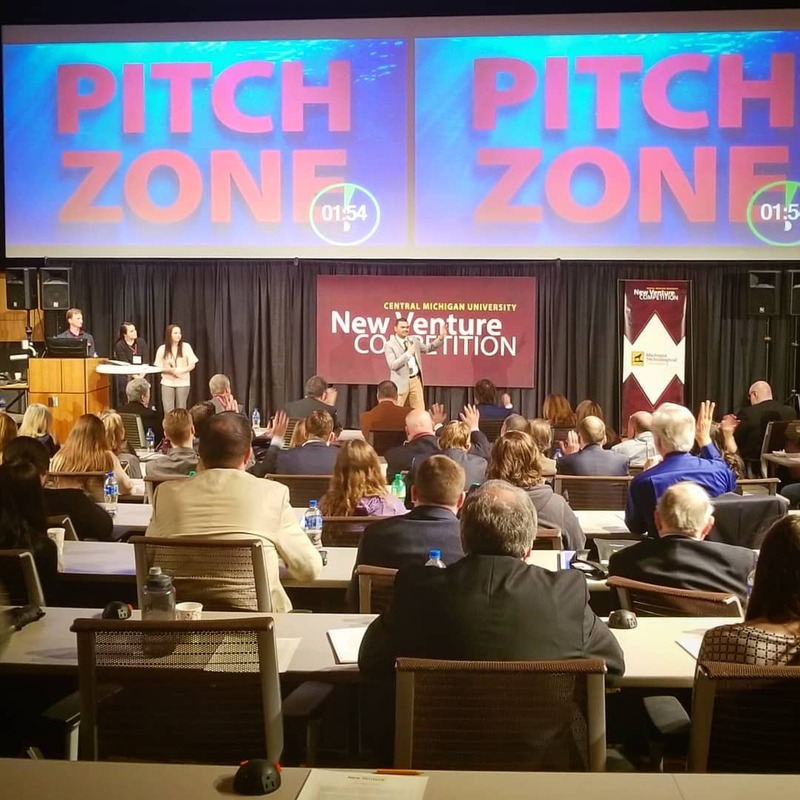 Seventy student companies applied to compete in this year’s competition from universities across Michigan including Central Michigan University, Grand Valley State University, Michigan State University, Michigan Technological University, Northwestern Michigan College, Northwood University, University of Michigan, Wayne State University, and Western Michigan University. 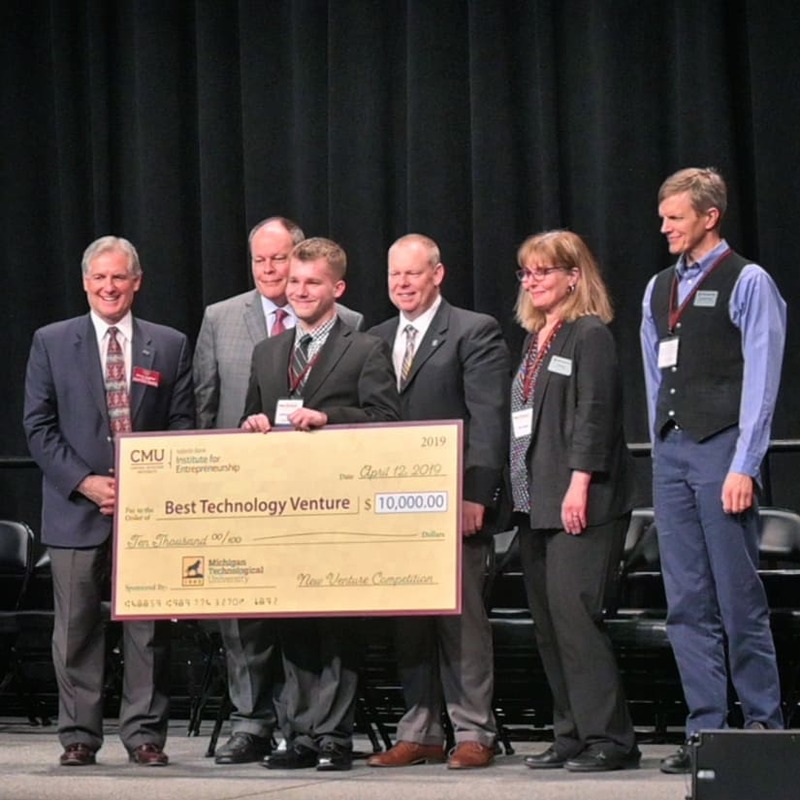 Out of the 27 semi-finalists that were selected to compete for up to $20,000 in cash prizes, two of the teams were from Michigan Tech and both have ties to the Pavlis Honors College. 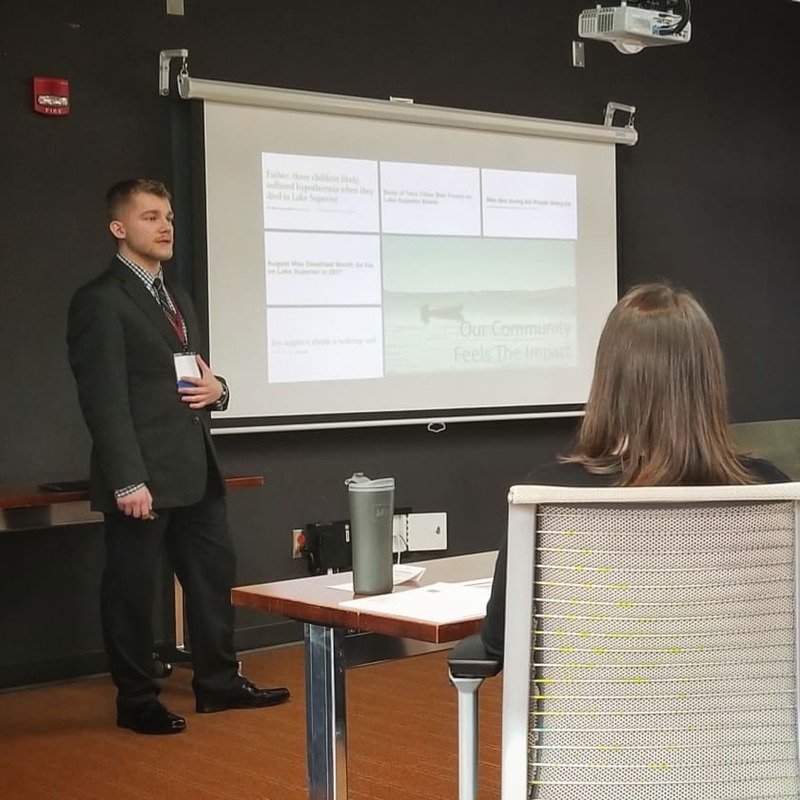 Kyle Ludwig, a University Innovation Fellow and PHC Custom Pathway student, is a member of the team of student founders for Tru, which is developing tools to enable healthy meal planning. Emmet Eurich is a member of Vacu-Shot which is developing archery technology suitable for disabled people and safer for everyone. Emmet and team member Sankalp Benwa are both members of the Consumer Products Manufacturing Enterprise. The competition will take place in Detroit, MI this Thursday. We wish Kyle, Emmet and Sankalp the best of luck this week! Be sure to follow us on Facebook and Instagram for live updates throughout the day. 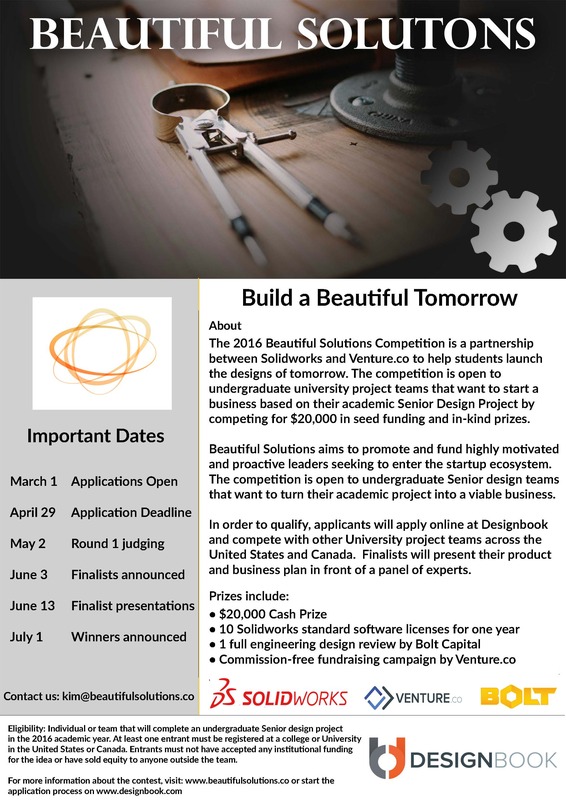 The Beautiful Solutions Competition is a great launching point for Michigan Tech Senior Design teams who are eager to start their own business. 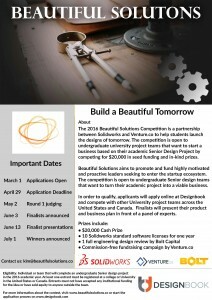 Solidworks and Venture.co began the competition to help students build the designs of tomorrow. Beautiful Solutions is seeking highly motivated, proactive leaders that are interested in launching their own startup, but may not know where to begin. This competition is open to undergraduate senior design teams with original designs that are ready to start a business. Applicants will compete for $20,000 in seed funding and in-kind prizes. In order to apply, you must first build a profile on Designbook. Applications will be accepted through April 29th. Calling All Entrepreneurs and Innovators! 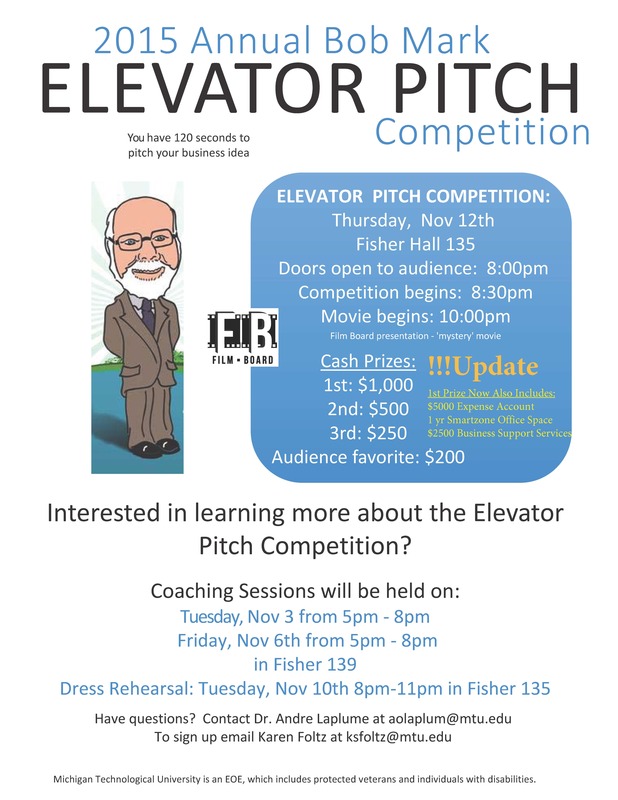 All Tech students are invited to participate in or join the audience for the 2015 Bob Mark Elevator Pitch Competition on the evening of Nov. 12th. Each participant will have 120 seconds to pitch their business idea to a panel of expert judges. 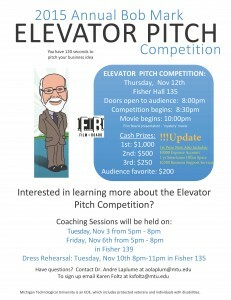 Pitch or come out and see the show and network with Tech’s most entrepreneurial students! Expect professional sound and lights and a large crowd (seats 400+). The event will be followed by a showing of the movie Jobs starring Ashton Kutcher. **Startup business counseling services provided by the Michigan Tech Office of Innovation and Industry Engagement to include intellectual property, commercialization, and capital fundraising strategy development. Services are valued at $2,500 will be provided in collaboration with the Michigan Small Business Development Center and the Pavlis Honors College Innovation Center for Entrepreneurship. Delivery of these services will not affect ownership of intellectual property or of the startups receiving the services.